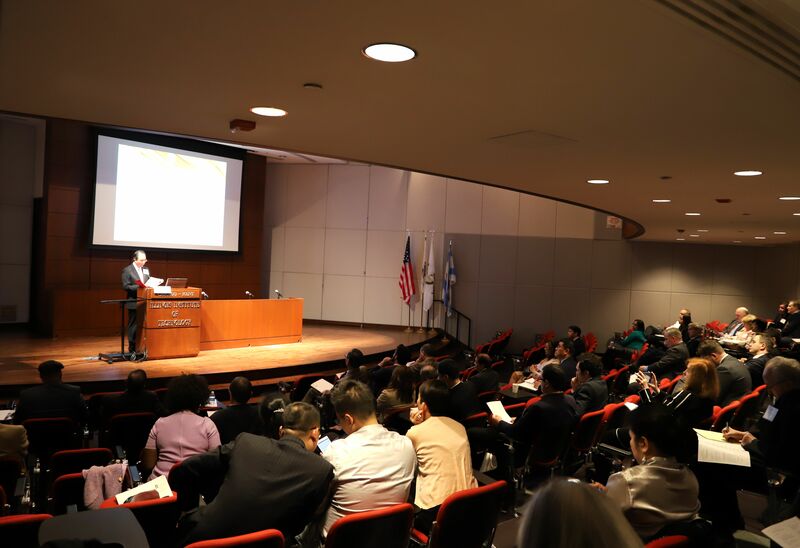 On April 20, 2018, Consul General Hong Lei attended the 2018 Silk Road Conference organized by the Central Asia Productivity Research Center in Chicago and delivered a speech entitled “Projects and Business Relations under the Framework of Belt and Road Initiative”. Mr. Aleksander Y. Stadnik, Trade Representative of the Russian Federation in the US, Mr. Dauletbek Kussainov, Deputy Chief of Mission at the Embassy of the Republic of Kazakhstan, Mr. Rosmalawati Chalid, Consul General of Indonesia in Chicago and more than a dozen guests from countries along the Belt and Road, as well as over 100 scholars, students and local guests from all walks of life attended the event. In his speech, Consul General Hong Lei stated that this year marks the fifth anniversary of the initiation of the Belt and Road Initiative (BRI). Currently, more than 100 countries and international organizations around the world are actively supporting and participating in the development of this initiative. A large number of infrastructure and industrial capacity cooperation projects under the Belt and Road initiative are being implemented, promoting the economic and social development of countries involved. For example, the construction of more than a dozen power plants in Pakistan will completely resolve the challenge of power shortages in the country. The capacity of one plant is big enough to meet the daily needs of tens of millions people. A Chinese company also acquired a troubled Serbian steel mill and turned its business around in less than a year. The revitalization of this steel plant not only saved more than 5000 jobs, but also revived the city where the steel mill is located. In Greece, a Chinese company took over the operation of Piraeus, the largest port in the country, ramped up the container volume and put it back in the same league as Europe’s largest ports. China and France have also jointly established a nuclear power plant in the UK, a stellar example of high-tech cooperation under the BRI. 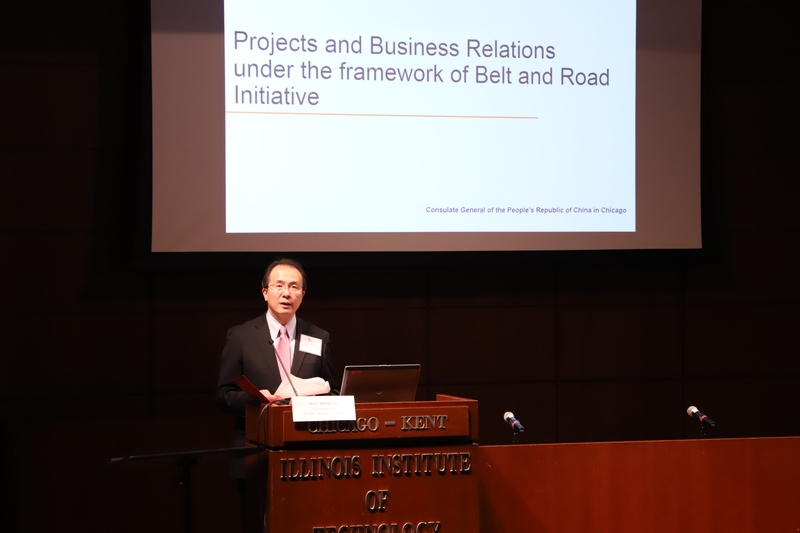 Consul General Hong Lei said that these vivid examples demonstrate that the BRI is a global public product and a platform for international cooperation. It is not a geopolitical instrument. It should not be viewed through the outdated perspective of the Cold War. The BRI is a Chinese proposition, but it is an opportunity for the world. It is not China’s solo but a symphony of all. We sincerely welcome all parties including the United States to actively participate in the BRI, and work with China not only to strengthen the “hard links” of infrastructure connecting various countries, but also to develop “soft links” of policies, rules, and standards. We hope the BRI will not only create concrete benefits but also meet high standards and produce quality products, bringing benefits both to China and the world.